A practical text for building thinking skills. In today’s competitive business world, businesses must have an edge to remain competitive and be successful. That edge can be employing people who can think critically. It’s not enough to hire someone with an MBA. That person needs have critical think skills. 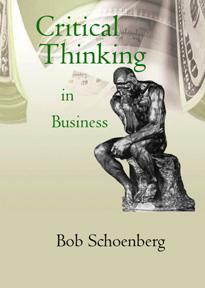 This text describes a number of critical thinking skills and explains how those skills can be using in business. These skills, like any skill, need to be practiced. The good news is that you can practice them in your own person life in addition to the workplace. While, I’ve emphasized using various critical thinking skills at work, the fact is these skills can be used in your personal life as well. Here is a review of those skills. An engineering firm would never just design a bridge and assume the design would work. They’d test it out based upon mathematical formulas, laws of physics and engineering concepts. Basing an idea or design for a bridge on merely an assumption could be disastrous. In the business world, assumptions can be dangerous and costly as well. Each day people working in the business world have decisions to make, proposals to evaluation and various actions to take. Assumptions need to be identified and challenged to determine if there is any truth or not to what is being assumed. Critical thinkers just don’t assume whatever they hear or read about to be true. They seek evidence and challenge assumptions. One of the ways assumptions can be challenged is by asking questions. As discussed previously, there are several different sets of questions that you can ask. Some of those categories include asking questions that clarify, seek evidence and even asking questions about questions. You can gain information by asking questions. You can also encourage people to think critically by asking them questions which require them to give some type of proof or evidence for whatever they are claiming. Marketing and salespeople recognized the value in identifying a customer’s frame of reference or perspective. Frames of reference can play an important role in marketing . In addition, negotiations of business contracts can be aided by an understanding of the other party’s frame of reference. Sometimes sales are lost, contracts are stalled or lost, negotiations break down because people fail to understand another person’s frame of reference. Understanding and recognizing frames of reference is a valuable critical thinking skill. It’s also helpful to recognize your own personal frames of reference. Methodological Believing is a unique role play that provides you with a greater understanding of an opposing point of view, including other people’s frames of reference. This a skill that really needs to be developed by practicing. It’s best to start with a fairly neutral issue and gradually progress to more polarized issues. Using this technique you adapt the opposing point of view and vigorously support it and defend it for a short duration of about 5 minutes or less. This is an excellent way to gain some understanding about an opposing point of view. This is a type of logic that attempts to establish a cause and effect relationship between two unrelated things. As discussed in a previous chapter, a manager thought there was a cause and effect relationship between a sales slump in August and the extremely hot and humid weather. However, cause and effect relationships can be deceiving and in this case the causal relationship was proven to be false. Oftentimes other critical thinking skills are needed to analyze a situation and determine if there really is a causal relationship or not. Seeking evidence and challenging assumptions are some of those skills that are needed. Thinking about one’s thinking (metacognition) is a critical thinking skill that includes many other critical thinking skills as well. When you begin to think about your thinking, you will begin to identify some assumptions you have made. You’ll discover your frames of reference. You may be able to detect flaws in your thinking. This is a critical thinking skill that is useful for anyone in business, regardless of what position you hold. It is a very useful and important critical thinking skill. Business ethics are important and there are several “tests” to help you determine your values and ethics as was discussed in a previous chapter. Unethical business behavior may not be illegal. But, while you may not end up in court with a lawsuit, you may find the court of public opinion to be unforgiving. Customers who perceive that a business isn’t treating them fairly or is cheating them in some manner will naturally boycott that business. You may find yourself in a difficult dilemma concerning ethics that will require you to either use one of the “tests” discussed earlier or use some other critical thinking skills to decide what to do. There are many other critical thinking skills. In addition, the role that stress plays in critical thinking can not be underestimated. Recall that too much stress turns into distress and makes critical thinking impossible. While stress management in itself is not a critical thinking skill, it does help to promote critical thinking. 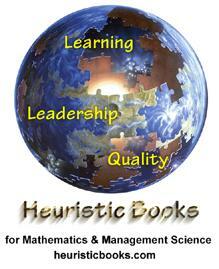 Critical thinking is a set of thinking skills that can be used in practically any aspect of business. CEO’s of large and middle size companies and even sole proprietors can use critical thinking to help their businesses remain competitive and successful. Managers, marketing people, people in sales, finance human resources and those people involved in accounting and payroll can all benefit by using various critical thinking skills. As demonstrated throughout this book, critical thinking skills are practical skills that can be used right in the workplace – right on the job. Those businesses that wish to get ahead, to remain above the competition, will employ people that have critical thinking abilities. Bob Schoenberg teaches an online graduate course in Critical Thinking via the University of Massachusetts at Boston. He created the online version of Critical Thinking for the University of Massachusetts at Boston. He also conducts training seminars and workshops in southern New England. He is a graduate of the Critical and Creative Thinking Program at UMASS, Boston, which is the only school in the country to offer a Masters degree in Critical Thinking. Prior to teaching Critical Thinking, Mr. Schoenberg served as a software trainer and stress management consultant. He incorporates stress management into his course in Critical Thinking based on the premise that one can’t think critically if one is stressed. Bob has an extensive background in training and curriculum development. Combining his background as a software trainer, educator and curriculum developer, he provides a comprehensive and highly effective online experience for his students. He brings practical business experience to the online classroom as well with over 12 years experience as an entrepreneur and business owner.